24th September, 2014 India created history. Whole world witnessed the same. 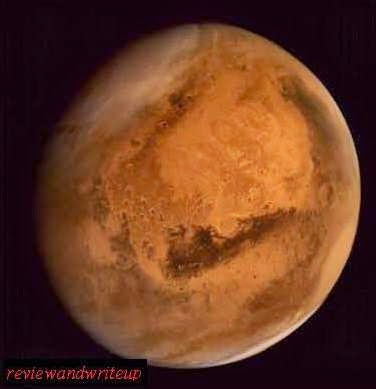 India’s Mars Orbiter Mission (MOM), also called Mangalyaan, and entered the planet orbit. Next day all daily/worldwide newspapers, news channels were full of praise about India’s successful mission. We all read, listened to the news. Last week I was chatting casually with few college students when I asked them about the Mangalyaan mission. They were aware of the news but they didn’t know the core of the mission. Why it’s significant for our country? Why whole world is praising, we all should know. not only college students, lot of professionals working on very good ranks are not aware of the mission completely. This incident motivated me to write about the mission. And why not, we should not forget it like yesterday’s news. India is the first nation to reach the Red Planet and enter orbit in first go. Isn’t that great? I will tell you why. Before India various countries have launched Mars Missions, but out of total 51 attempts, only 21 were successful. Only European Space Agency which is supported by many European countries like United Kingdom, France, Germany, Austria, Belgium, Czech Republic, Denmak, Ireland and many more was able to launch its orbiter right in first attempt. But important thing to note is that it wasn’t one nation. India was the first nation. Only countries made successfully to the mission are USA, Russia and European Space Agency. China also tried to launch its orbiter but failed. Total cost of the mission was approximately 450 Crore Rupees. It was the least expensive Mars mission till date in the whole world. If we compare to the US mission “Maven” it was way cheaper. India’s Mars Orbiter Mission $74million whereas NASA’s Maven Mars Mission cost was $671million. India’s real life Martian adventure was costing less than budget of Hollywood film gravity. The mission was launched by Indian Space Research Organization (ISRO) on 5 November, 2013. In a country like India it takes lot of courage to stick to the mission. Changing government, less funding, meagre resources makes the path really tough. Lot of women scientists was involved with the mission. Nandini Harinath, a physicist and a mother of two was operating the spacecraft between Earth and Mars. Minal Sampath and her team built three instruments for the spacecraft. A female engineer was in charge of wheeling out the 15-storey high 320,000 kg Satellite Launch Vehicle (SLV) from the vehicle assembly building to the launch pad. These women don’t need to wear lab coats when they are creating new milestones in their Saree. An achievement like this is very important. It makes a country worldwide famous. There might be some people who don’t know anything about India or still believe it to be country of snakes and tiger. World will have to start looking at India with different angle. To common man not only this mission is matter of proud, but also lot of Indians would dream of becoming scientists. World is approaching ISRO to learn from them. NASA immediately approached ISRO and agreed to cooperate on future missions to mars. I hope this was helpful. Please share your views about the article in the comments below. Thanku megha for enlightening us abt such a great mission.Even i m also unaware abt it bt u r very helpful in providing information to lots of people.We shud proud of our country.